The incessant buzz surrounding the Motorola Moto X will probably get louder leading to the August 1st release of the phone. Last week, we showed you the camera interface and controls. Now, the APK for the Moto X's camera app has been outed so that anyone with an Android phone can theoretically install it. The problem is that not all of the features are working. According to one person who loaded the APK onto a Google Nexus 4 powered by Android 4.2.2, the app worked well enough to take regular pictures and video although not every feature was running. As we've seen from the leaked Rogers video, opening the camera application on the Motorola Moto X is as simple as removing the device from your pocket and twisting your wrist back and forth. 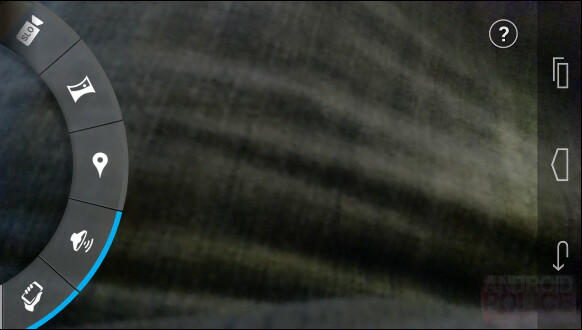 The idea is that the Moto X knows when you've taken it out of your pocket. A tweet from Motorola suggests that the camera on the phone will have a fast shutter speed, fast enough to capture a kid with tons of sugar in his veins. If you want to install the APK of the rear camera on the Motorola Moto X on your Android device, click on the sourcelink below. The entire file is 1.3MB, svelte enough not to be a problem. How long till all the major features get put into custom roms making the software side of this phone pointless to anyone who can root their phone. The always on voice control and always on display can't be put on other phones without having a MAJOR MAJOR hit on battery life. Moto X has specific cores and display built in a specific way to save battery. That's true. At least any phones with OLED screens should technically be able to get the cool notifications feature! I'm not sure if its worth doing on a Galaxy S4 though. Trading all the sensors functionality for that isn't worth it for my use case. I don't even think the new camera functions would work well for anything other than the Moto X too. Without ClearPixel, maybe fast shutter speeds or some algorithms will funk with your camera and give you messed up pictures? I do remember that during S4 launch video, they have said that they have a co processor for sensors. the octa core X8 is just mere marketing. It all boils down how google is going to use that co processor to make a difference in real time usage. It's just like a solution for videos, where application cores delegate task to Hardware video encoders and decoders, which are essentially co processing units optimized for hardware implementation of the codec software. How do you install it please help? To 5. and 6. , please click on the source link right below the camera UI image. 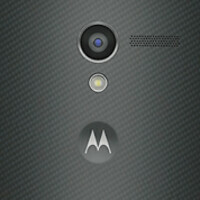 "source: MotoXCameraAPK via RedmondPie"
Downloaded it, and it's great! Well, I don't know anyone else's having this problem, but my camera won't flash when I have the settings on flash. HDR doesn't work on i717, you cant set the resolution or storage location and the wrist flip thing doesn't work. I'm sticking with "camera ICS+". Wow, that's cool. Let's give it a try.